The Introduction to Massage courses are designed for people who are keen to learn or refresh basic massage skills. They are highly interactive, packed with information and offering the chance to both give and receive massage throughout. One-day courses - broken down into Part 1 and Part 2, see details below for what is covered on each day of the course. Bite-sized Massage courses - there are four to choose from. They can be booked independently, or in combination you will have learnt how to give a full body massage. Guided massage workshops - for people with some prior experience (for example having completed one of Tia’s massage workshops) who wish to use the space, with guidance, to practice their techniques and exchange massage with others. Bespoke massage courses - can be booked for individuals, friends, partners or couples to learn basic massage techniques, for example you could book a one-day, half-day or evening massage course. Please contact Tia to discuss. See below for further information on the one-day and bite-size massage courses, and visit the Courses Overview page for upcoming dates. A one-day massage course cost £68 per person. This includes a course handbook, bottle of organic massage oil to take away and all resources needed are provided along with teas, coffees and healthy snacks for break times, please bring a packed lunch. Please note that Part 2 is suitable for people who have already taken Part 1 or an equivalent course. Please contact Tia if you are unsure whether to book onto Part 2. Check dates and book your place on a Part 1 or Part 2 course. Bite-sized workshops cost £25 per session. 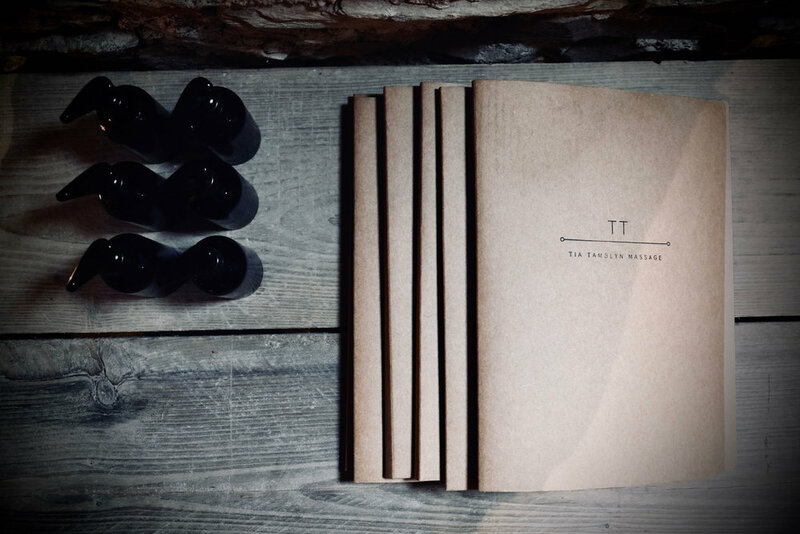 This includes a course handbook, bottle of organic massage oil to take away and all the resources needed are provided along with a welcome tea or coffee. There is a 25% discount if you book onto all four, making the total cost £80. 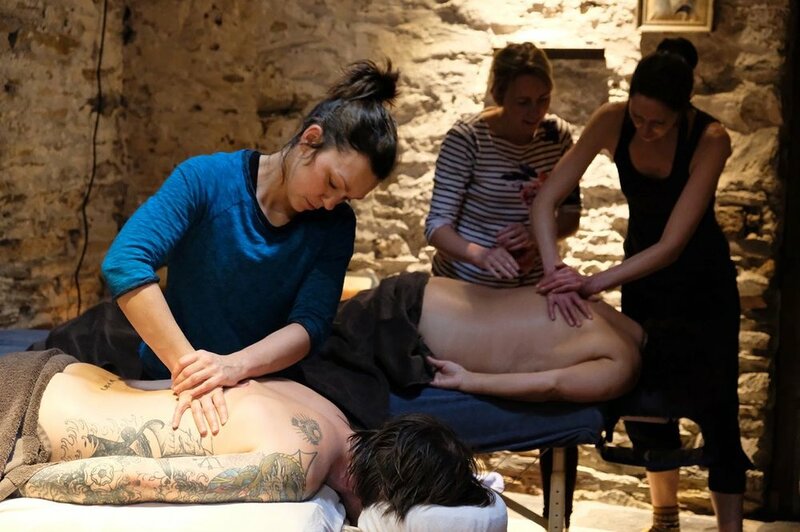 Check dates and book your place on a course Bite-sized Massage Course. These two and a half hour workshops provide the chance to refresh massage skills whilst you both give and receive massage. Rather than focusing on a particular part of the body, you have the chance to use the set-up massage space and ask for Tia’s guidance as you give a treatment. The guided massage workshops are suitable for people with some prior massage experience, for example having taken one of Tia’s Introduction to Massage courses. Individuals can book on, or people with some massage experience can bring a friend or partner along to work on during the session. Costs £20 per person which includes all the resources you need on the day and a welcome tea or coffee. Check dates and book your place on a Guided Massage workshop. Individuals are most welcome to attend the courses, as are friends and partners. The courses are run with small groups so there is lots of individual tutoring and support. The Introduction to Massage courses are for personal use (for example with family) - they do not lead to a qualification that enables you to work as a professional massage therapist. Tia can discuss options for acquiring a professional massage diploma as part of the Introduction to Massage courses. These courses are APNT recognised workshops. Please note that the massage course fee is only refundable if cancellation is made in writing more than four weeks before the start of the course.